George R.R. Martin, author of "A Song of Ice and Fire" book series, recently wrote on his blog a new post in which he announces that his last scheduled event for 2016 is the Guadalajara International Book Fair, in which he will meet his "Mexican publishers, editors, and fans". At the end of the post, he added - finally - an announcement about "The Winds of Winter," the most-awaited new book of his fantasy series. George R.R. Martin wrote that he will be doing an interview, press conferences, and a signing, adding that he is also going to taste some tequila, as Guadalajara is known as the tequila capital of Mexico. "My appearance schedule for 2017 is very limited, and will remain so until WINDS is completed", wrote Martin on his blog. Fans are wondering if the long-awaited novel will be published before "Game of Thrones"' season 7 premiere (which will probably air at the end of June 2017). Martin also wrote that he won't make another public appearance "for a good few months," implying that The Winds of Winter may be finished before Summer 2017. It's too early to predict a release date for "The Winds of Winter", nonetheless, after several weeks of silence what Martin announced it's a good news for "A Song of Ice and Fire"'s fans. Apparently, there is still hope to see "TWOW" published before Summer 2017. Replying to a fan's comment who was asking if he really meant "few months" or it "was just an expression" Martin repeats: "It will be a few good months between Guadalajara and my next public appearance". 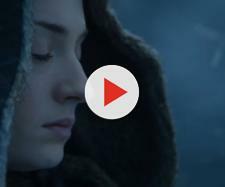 While waiting for "GOT"'s next season is now possible to watch a collection of deleted and extended scenes from season 6. 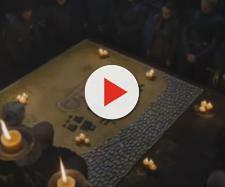 Recently HBO also released his new "Coming in 2017" video clip, which features three pictures from "GOT" season 7. The three pics portrait Sansa, Jon and Arya, remarking the important role the surviving Starks are going to play in the next season of the show.